Valentine’s Day is right around the corner, it’ll be here before you know it. While V Day has been known for luxurious chocolates and expensive gifts, it doesn’t have to be that unhealthy and expensive if you play it smart! Instead of focusing on the unhealthy aspects, follow our guide for a healthy change this year, you and your partner’s health will thank you! The legend of Valentine’s day began in Rome when people started giving handmade gifts to individuals to wish them success with fertility. This eventually transformed in such a way that it turned into what we know this day to be now in modern times. In this article we’ll be offering you a list filled with healthy ideas for Valentine’s that are also romantic and loving for your partner. Feel free to combine any of these or even customize them for your partner! Starting off this list with everyone’s favorite gift to receive, a body massage! But this isn’t just any simple romantic gift, there are fantastic benefits of body massages that can really be energizing and stress releasing. It’s also a fantastic way to introduce natural ways to increase stamina. How could you go wrong with a fruit basket, you can pick out your partner’s favorite fruits and arrange them in a way that’s romantic and cute. You can cut some fruits into a heart and maybe even add a bit of chocolate in there as well. This is a fantastic and easy gift idea especially when paired with other options from this list. This is a fantastic choice for those couples out there that love hitting the gym together. Create a unique playlist for your partner full of their favorite music, pick songs that amp them up and encourage them to push themselves to the limit. Dark chocolate can greatly increase your health, it contains fiber for a balanced diet, and while it should be consumed in moderation, it is a great treat for those who are trying to watch their waist measurements. You could also include a basket of fruit or our above mentioned fruit gift basket. Plan a cute gym date with your partner! Wear your best workout gear, go in the morning and get some fresh pressed juice after. Plan a whole day around going to the gym. Maybe even jog together to your favorite spot in the park. By making a whole day out of this activity, you’ll both have this memory together forever and you’ll always look back fondly on it. Buying your partner a great gift set is fantastic, especially if they love healthy fibers! You don’t have to just have nuts either, you can include natural trail mix and you can even customize the presentation with other gifts from this list to really amplify the romance. This gift might sound boring at first, but it’s a fantastic base to build off of with other ideas. If you combined this gift set idea with some other healthy snacks you know your partner loves, it will be the perfect combination! A subscription snack box to a healthy snack service is always a wonderful gift, not only will you be giving the gift of health, but it’s something your partner can look forward to each month. Plus it’s yummy! There are so many options now as well, you can choose to do a snack box each month, or you can even sign up for a healthy skincare routine box each month were you will be sent all the hottest and organic skincare products to keep your skin healthy! Any partner would love a gift like this! Taking the time to learn how to create your own bath bomb will show your partner how much you care about them. This is a great gift since you’ll be able to customize the skin healing benefits from the minerals and herbs you use. You can even include your partner’s favorite fragrance. Dark chocolate provides an abundance of benefits for your health in moderation, by combining that with fruit, what’s not to love. It’s a cute gift idea and you can even add some nuts to really dress up the gift. The strawberries are full of antioxidants and will improve your health while lowering the risk of heart disease, it’s the perfect gift of romance and health all in one! Why not buy your loved one a new motivating set of workout gear. Not only will it make your partner feel great, it will also motivate them to go to the gym regularly. In terms of the benefits, if anything can motivate you to go to the gym, even if it’s because you have new workout gear, why not! Overall, if you’re having some trouble figuring out what you want to buy for your partner this Valentine’s Day, hopefully this list acted as an inspiration! You can never go wrong with some added health in your life and you partner will be sure to agree a well. 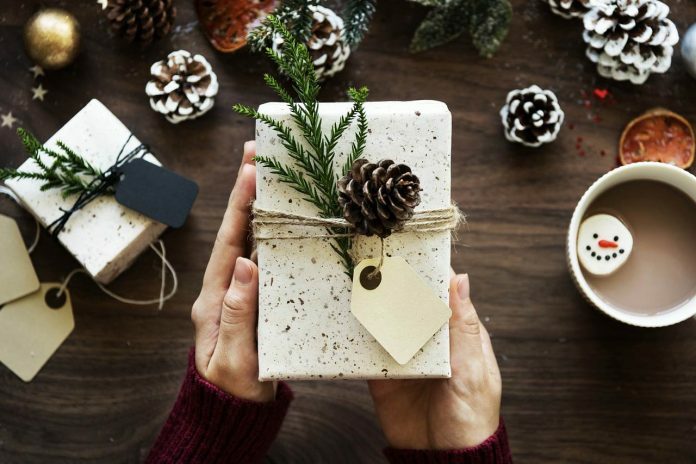 These healthy gifts are not only great for your lifestyles, but they’re also mostly inexpensive so you can mix and match other other options as well. Get creative and don’t be afraid to try something new! If you choose to introduce these healthy alternatives into your upcoming V Day we’d love to know how it went! Let us know by commenting and sharing this article what ideas you’re the most excited about trying. Dwayne Austin is a multi-faceted blogger. Through his meticulous and informative blogging, Dwayne hopes to contribute articles for curious readers. He aims to encourage people to live a healthy lifestyle.